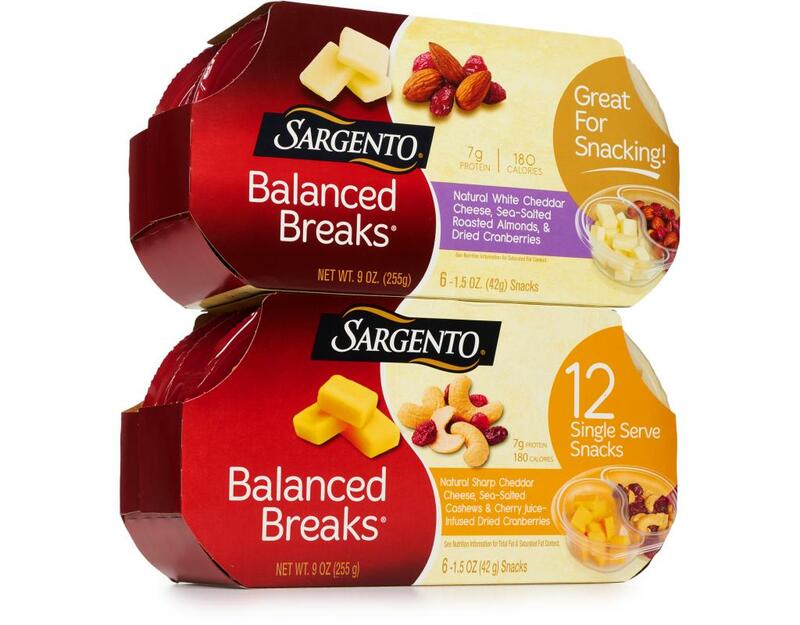 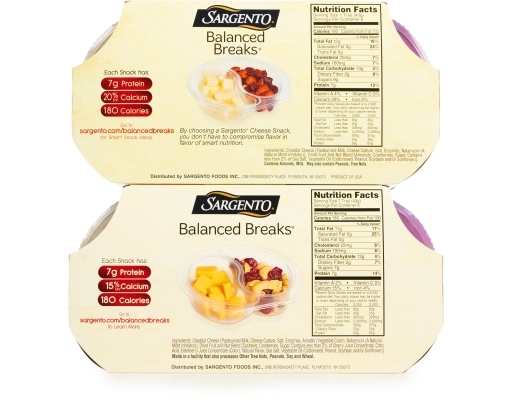 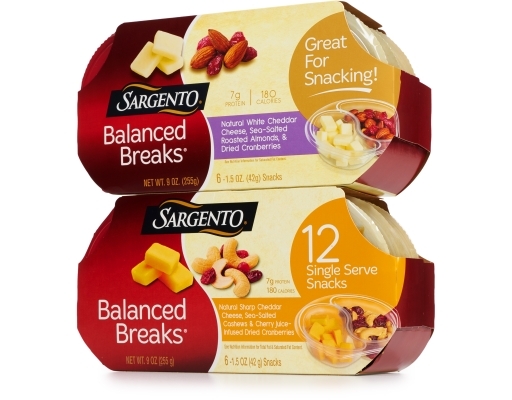 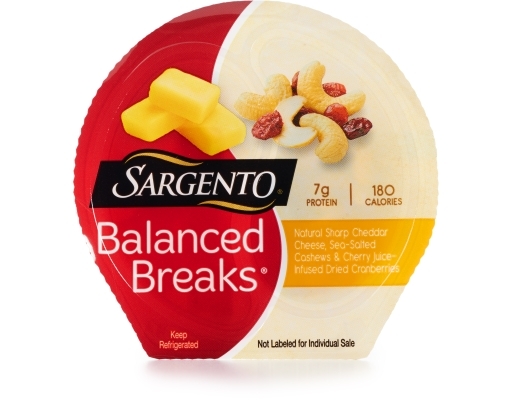 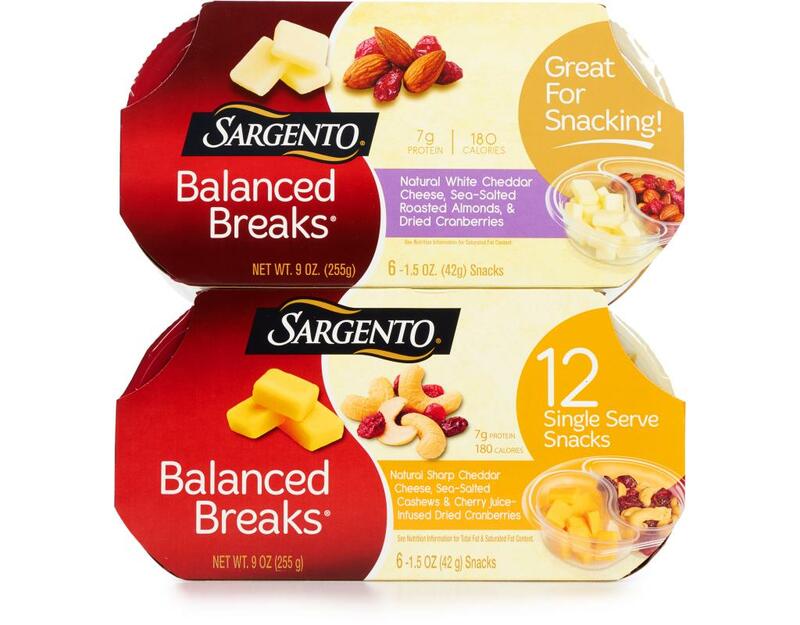 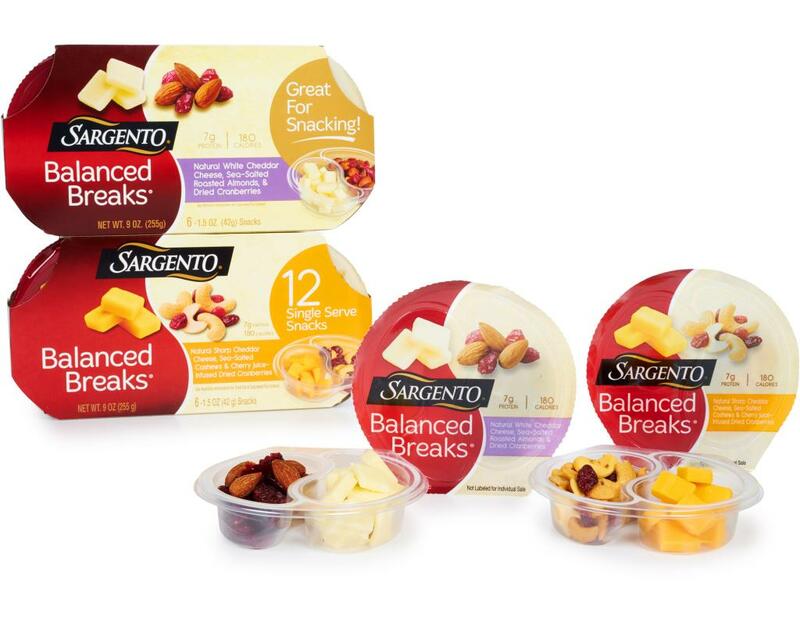 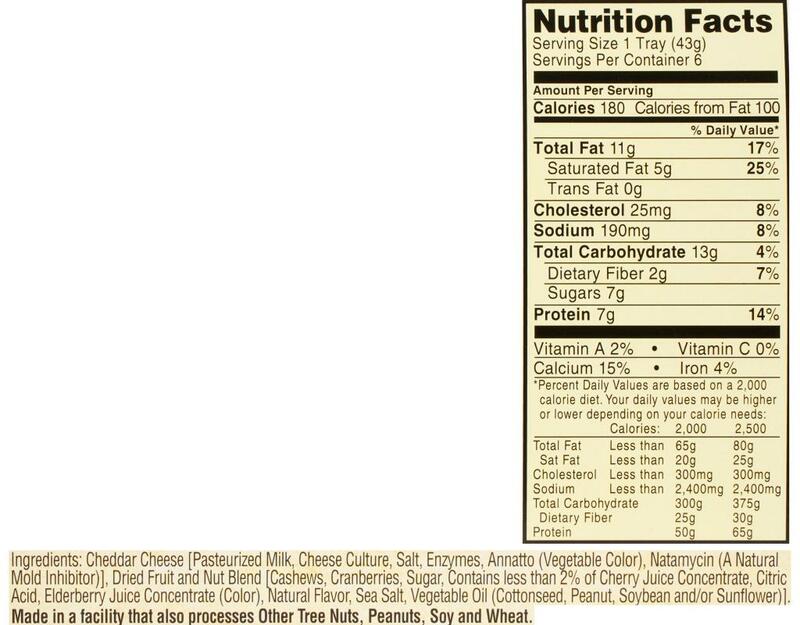 Sargento Balanced Breaks Snacks are a delicious combination of creamy cheese, crunchy nuts, and sweet dried fruits for a balanced all-in-one snack. 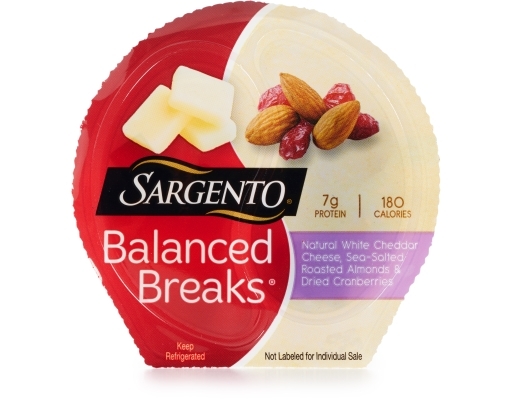 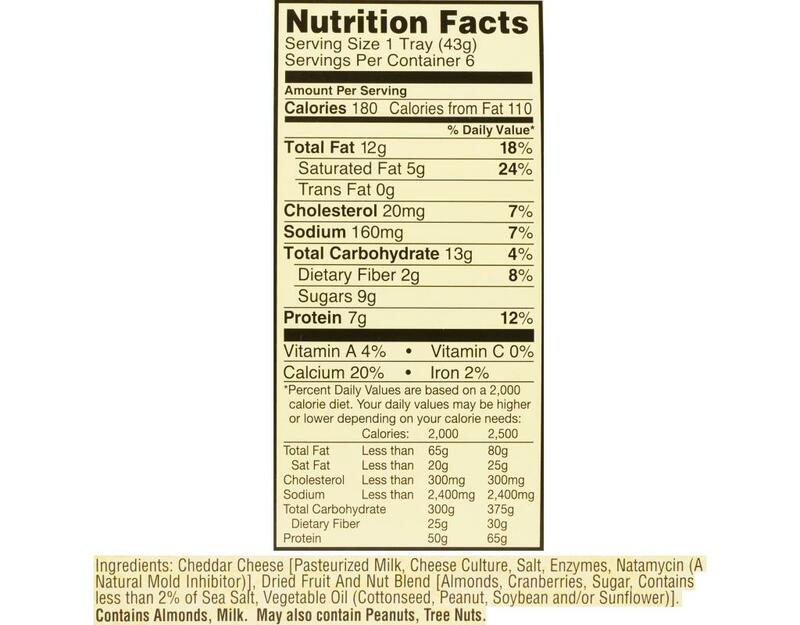 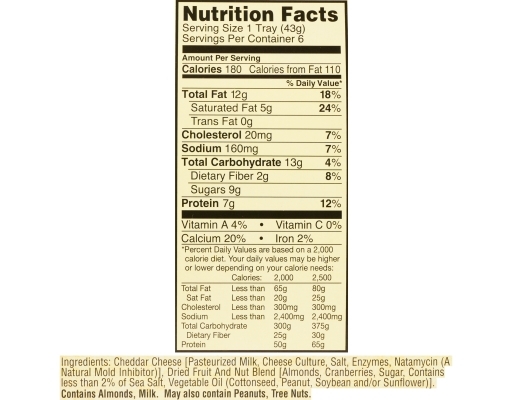 Natural White Cheddar Cheese with Almonds and Dried Cranberries: Cheddar Cheese [Pasteurized Milk, Cheese Culture, Salt, Enzymes, Natamycin (A Natural Mold Inhibitor)], Dried Fruit And Nut Blend [Almonds, Cranberries, Sugar, Contains less than 2% of Sea Salt, Vegetable Oil (Cottonseed, Peanut, Soybean and/or Sunflower)]. Natural Sharp Cheddar Cheese with Cashews and Cherry Juice- Infused Dried Cranberries: Cheddar Cheese [Pasteurized Milk, Cheese Culture, Salt, Enzymes, Annatto (Vegetable Color), Natamycin (A Natural Mold Inhibitor)], Dried Fruit and Nut Blend [Cashews, Cranberries, Sugar, Contains less than 2% of Cherry Juice Concentrate, Citric Acid, Elderberry Juice Concentrate (Color), Natural Flavor, Sea Salt, Vegetable Oil (Cottonseed, Peanut, Soybean and/or Sunflower)].